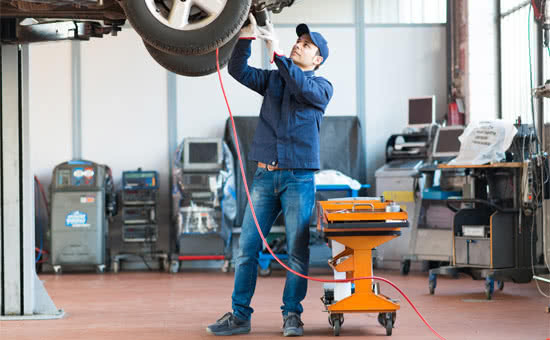 Many businesses depend on having the right equipment to succeed, but none more so than automotive body and repair shops. If you own this type of business, you’re well aware how important it is to have the necessary tools and machinery. You are likely just as familiar with how expensive it can be to make sure your equipment remains up to date. Whether it’s a family-owned body shop, a franchise of a national auto repair company or a local car dealership, a large part of the small business community is made up of enterprises focusing on vehicles. As a nation of drivers, it only makes sense that many entrepreneurs would make their livings in this sector. However, vehicle technology is constantly evolving, and that means body and repair shop owners must keep up. When buying outright, small business owners in the automotive industry typically have two options: They can either borrow a sizable loan to purchase new equipment or scrape funds together to buy used tools. Automotive equipment financing from National Funding provides a better solution: Being able to acquire brand new equipment at a price that won’t deplete savings, disrupt cash flow or take away from working capital. Even more important for auto body and repair shop owners is the opportunity leasing offers for upgrading equipment. Buying automotive equipment is a one and done deal. However, leasing can give you the flexibility to upgrade and add to your equipment to suit your needs. This way, you’ll always be on the cutting edge of automotive body and repair. There are many large and small tools professionals in this industry utilize on a daily basis, in addition to IT equipment to help with diagnostics, cost estimation and general business administration. Automotive equipment leasing from National Funding can make obtaining this equipment much easier. Additionally, your customers aren’t the only ones that have maintenance needs. Automotive equipment financing allows you to structure your lease to include installation, maintenance and other necessary services. In short, if you’re seeking a cost effective way to ensure your automotive business stays at the forefront of technology without breaking the bank, exploring automotive equipment leasing options is your best bet. Contact National Funding today to find out more about different automotive equipment financing options.